Carlos Ghosn’s lawyer, Motonari Otsuru, said $14.7 million payments were made for work an unidentified person did for Nissan. TOKYO -- Carlos Ghosn’s lawyer challenged allegations by prosecutors that the former Nissan chairman transferred personal financial losses to the automaker. On Friday, while rearresting Ghosn, the prosecutors alleged Ghosn used Nissan’s money to pay a person who helped him meet payments to maintain a personal trading position during the 2008 global financial crisis. 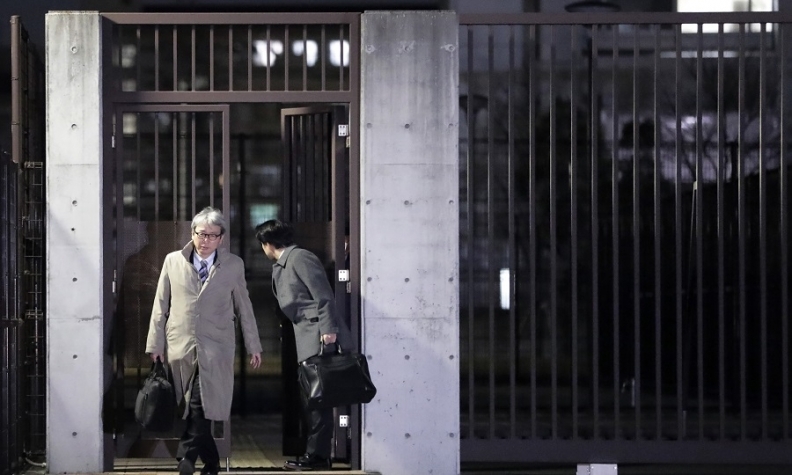 Motonari Otsuru, the main lawyer representing Ghosn, said in a written statement that the actions did not constitute a breach of trust and the $14.7 million payments from 2009 to 2012 were made for work the person did for Nissan. The lawyer didn’t identify the person by name. The prosecutors statement on Friday also stated that Ghosn conducted an “aggravated breach of trust” by allegedly transferring obligations on his own personal investment losses worth about 1.85 billion yen ($16.6 million) to Nissan, inflicting financial damage on the automaker. On this point, Otsuru said that while the act may be seen as a breach of trust it would not be punishable. According to Otsuru, the Securities and Exchange Surveillance Commission had looked into the matter in 2008 but did not file criminal charges, therefore the lawyer didn’t think the acts would be punishable now. Nissan declined to comment. A phone call to the Tokyo Prosecutors Office went unanswered on Sunday. The Tokyo District Court on Sunday extended Ghosn's detention until Jan. 1 on the new allegations. Ghosn has been held at Tokyo’s detention house since his Nov. 19 arrest. He was indicted for allegedly understating his salary at Nissan during the five years until March 2015. The new allegations for inflicting financial damage on Nissan are more serious.